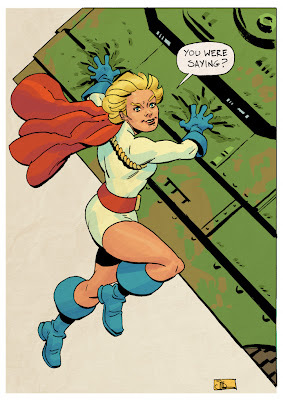 I've never drawn Power Girl before, though I've been looking for an excuse to for a while now. Great pick, Patrick! Nice! Really like the colours to this, Evan.